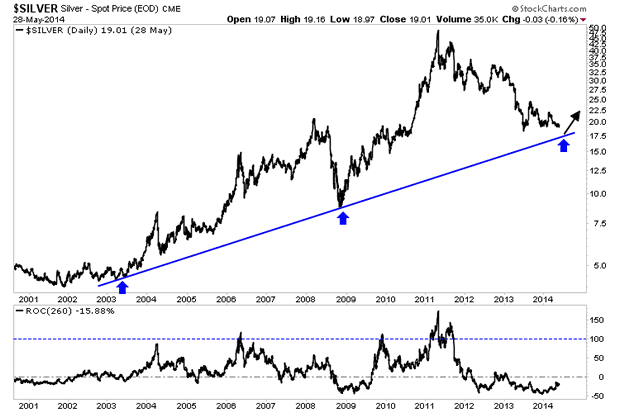 The chart shows an 11-year trendline marking what should be rock solid support at or slightly above $17. A final decline could touch the trend line and then begin a strong reversal. Gold has more downside potential and could easily make a new low. If and when the weekly low of $1200 breaks, Gold could plunge to its bottom within a few weeks. Keep an eye on $1080, which is the 50% retracement of the entire bull market.